The IAP2 USA Mentorship Program connects those new to the P2 profession (mentees) with experienced P2 practitioners (mentors), who provide a sounding board, advice and general wisdom on best practices and potential pitfalls. The form of the mentoring relationship is determined by the individual pairings, developing their own “Terms of Reference” and framework for the nine-month program. This program not only provides additional learning and professional development opportunities for those new to the field, but also offers practitioners the opportunity to live part of IAP2's Code of Ethics: "Support of the Practice". The next cycle in this program will be starting soon, and we are now inviting potential mentors and mentees to express interest in taking part! To participate in this program you must be an IAP2 USA member. The application period for the 2018-2019 Mentorship Program is now open! The program will run mid-October to June 2019! 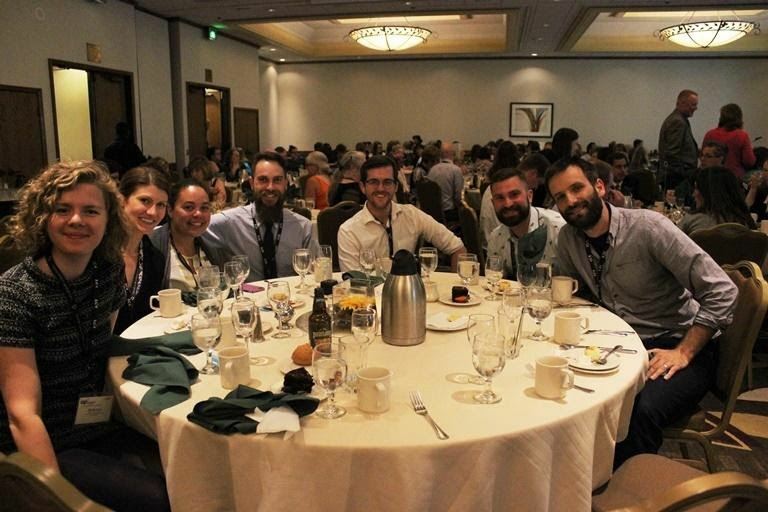 Students and Young Professionals were among the 350 attendees who enjoyed the 2015 North American conference in Portland OR.